Comments made by Jeremy or about Jeremy, as tweeted on Twitter by various people and press agencies in attendance during The Borgias panel discussion at TCA 2012. 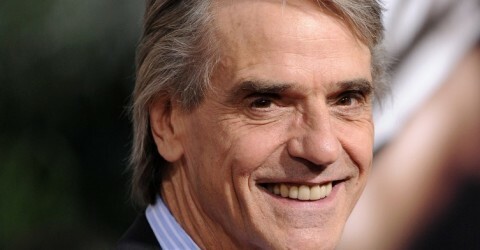 Jeremy Irons is so intelligent, classy, polite and charming. Sitting in a room listening to Jeremy Irons speak. The English really do sound smarter! “Not since doing ‘Brideshead,’ have I felt so comfortable doing a series,” Jeremy Irons says. “My head at the moment is full of Shakespeare,” Jeremy Irons says in “The Borgias” panel. Neil Jordan wrote 5 of season 2’s Borgias’ scripts. Last year,Irons wore riding boots&carried saddlebags.This year,he’s bearded,in a dark vest&white shirt w/billowy sleeves. Even in shadow, Jeremy Irons is dazzling. I love my job. Jeremy Irons on Rodrigo: “He’s been put in touch with his inner conscience” this season. I was so starstruck when I saw the great Jeremy Irons just now! Eeeep! 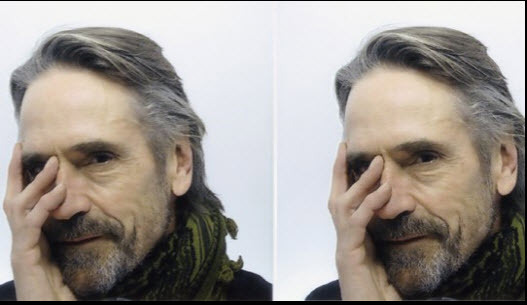 I would very much like to talk like Jeremy Irons for a full day and then collapse, exhausted, with all my friends and family annoyed at me. I find it hilarious that “Jeremy Irons” is trending in Pittsburgh right now. Are they remaking Brideshead Revisited in the South side? Jeremy Irons sounds so classy, even as a bar rag. I’m going to start talking that way. Jeremy Irons is flawless and a badass. Just thought y’all should know that. THE BORGIAS Jeremy Irons dressed like rakish English stable boy. Boots, white shirt, vest, wool scarf, tan britches-like pants. It’s always interesting to hear Jeremy Irons talk. Lots of great stories, that accent, the wit…and “motorcar.” What’s not to like? #TheBorgias ‘s Jeremy Irons says he likes to remain in character but currently he’s dressed more for Puss n Boots. Jeremy Irons jokes if Colm Feore has his way, #Borgias will continue past death of Rodrigo, into reign of Pope Julius. I haven’t seen #TheBorgias yet, but this panel is inspiring me to mount a dark-horse campaign for Jeremy Irons for pope IRL. THE BORGIAS at #TCA12: if Jeremy irons grabbed a sword and started swashbuckling right now, I’d be not surprised. Pretty sure Jeremy Irons is wearing an Old Navy Performance Fleece vest right now.